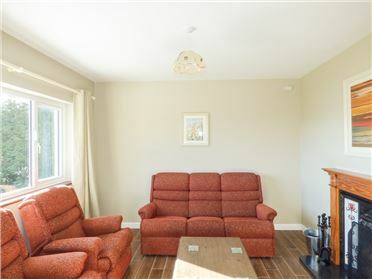 Stay at a lovely cosy stone cottage on its own private grounds just a short hop from the charming Irish rural village of Ballydehob, and less than ten minutes from the beautiful seaside village of Schull. The cottage is decorated tastefully and offers warm, comfortable relaxing accommodation. 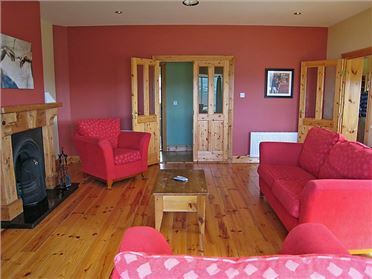 It is ideally located for touring stunning West Cork, the Ring of Beara, Mizen Head peninsula, and the Kerry region. â€¢ Open-plan sitting/dining room with stone fire place & basket of turf. â€¢ Double bedroom with en-suite shower room. Utility room with washing machine, tumble drier and iron. â€¢ Open plan seating area with T.V, DVD player and selection of DVD's. â€¢ King size bedroom with en-suite shower room. â€¢ Large bedroom with double & single bed. The cottage is located on its own private grounds off the main road. The grounds are surrounded by a wooden fence enclosing a lovely green garden, with lots of room for sunbathing, kicking around the ball, or just relaxing. Garden furniture means you can make the most of any sun! You are assured of a warm Irish welcome at this more than homely house. Home made scones and jam on arrival along with a welcome basket. Turf for the fire included. From Cork take The N71 To Ballydehob and then the R592 Ballydehob to Schull road for 1.5 kilometres. Walking nearby.